Disney may own Marvel, Star Wars, Indiana Jones, and a host of other franchises bigger than the Mouse House ever expected, but it's their live-action remakes of animated classics that have been the real winners. And at this point after a string of hits, including this year's mammoth The Jungle Book, that we have to accept that it doesn't matter which movie gets redone because they've figured out how to main the heart and soul that made them great to begin with. Pete's Dragon, the 1977 live-action/animated hybrid about a boy and his invisible dragon, isn't as well-known as others in the Disney library, and that's okay. This modern version, directed with Spielbergian charm and mystery by indie filmmaker David Lowery, can cast a spell on anyone whether they're familiar with the original or not. It all begins with the titular dragon, Elliot, a mesmerizing emerald creature of fur, wings, and a canine's loyalty (Why are dragons always made to behave like dogs? ), he lumbers across the screen with an endearing clumsiness. Aren't dragons supposed to be menacing and calculated? Not Elliot, who tumbles haphazardly while flying, only to crash land with a sheepish "I meant to do that" smile on his face. He's completely lovable and irresistible, but also looks like he could be scary when needed to be. Elliot is the kind of sidekick every kid would want, and we kind of want to be Pete (Oakes Fegley) so we can have a friend like him. But Pete's story isn't a happy one at first. Surviving a car wreck that killed his parents, the orphaned Pete endures the harsh forests for six years with the help of Elliot, the dragon having rescued him after the accident. 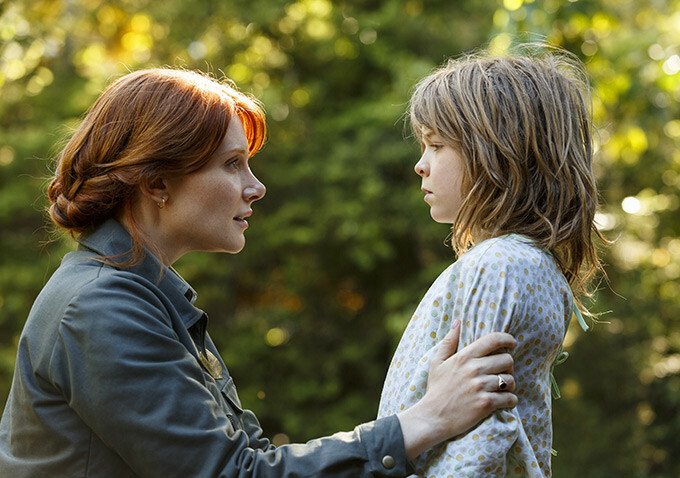 Their wilderness bro-time gets shuttered when Pete is discovered by Grace (Bryce Dallas Howard), a park ranger who knows those forests like "the back of her hand" (evidence would later prove the contrary) and works to protect them. It's an awkward task given that her boyfriend Jack (Wes Bentley) runs a logging company alongside his brother Gavin (Karl Urban), the latter not exactly what anyone would call a conservationist. Small-town concerns about a failing lumber industry are teased, but really only serve to inform Gavin's aggressively selfish demeanor. 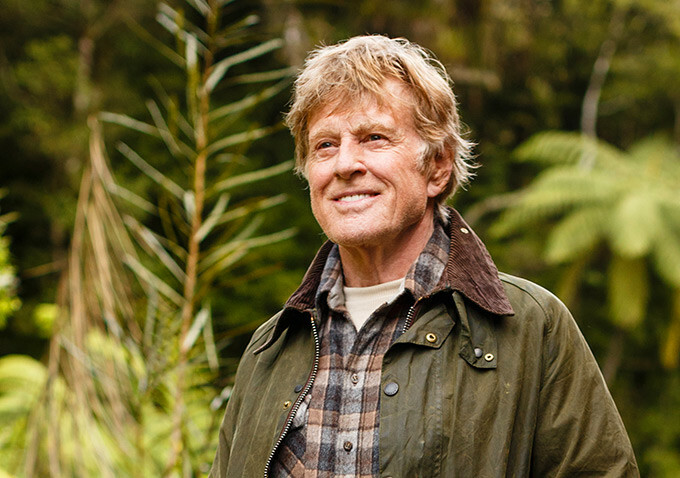 He's basically the polar opposite of Grace's father (Robert Redford, used sparingly), who used to tell them stories of the green dragon he encountered years earlier. Alongside Jack's daughter (Oona Laurence, currently seen in Bad Moms as well) they offer Pete the human contact and emotional connection he didn't have running free among the trees. So the story is an easily recognizable one. It's a little bit E.T. or The BFG, with a kid finding and befriending an unbelievable creature adults will never believe in. But Lowery, a surprising choice for director, never lets anything get overly sentimental or cutesy. The story has real substance to it, focusing on Pete's pull between an adventurous life off the grid with Elliot and a more conventional home life with actual people. While dealing with that he's also forced to come to grips with past tragedies, with certain revelations regarding Elliot enough to pull at the heartstrings. 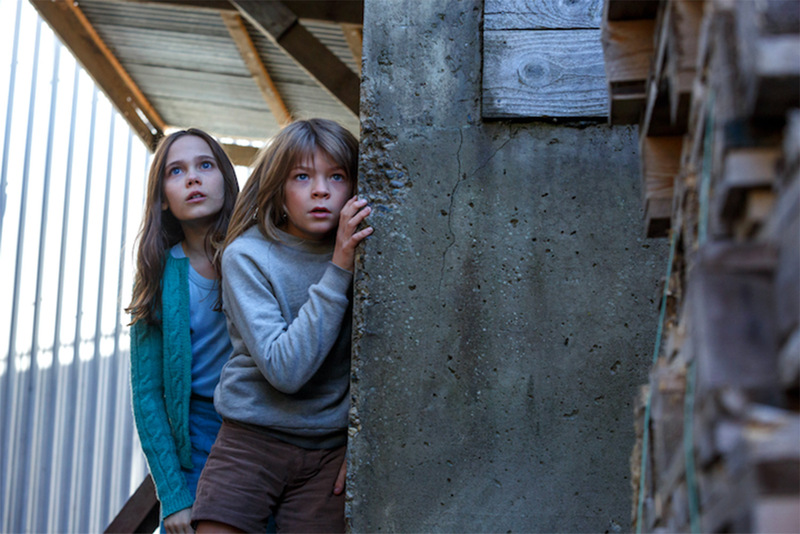 After helming the somber neo-western Ain't Them Bodies Saints, Lowery seemed like the least likely option for a movie geared towards kids. His take on the material is vastly different, both in terms of tone and structure as the musical component is entirely jettisoned. That said, the subtle soundtrack by Peggy Lee, The Lumineers, and more makes perfect accompaniment, emphasizing the differences from the original without going overboard. Lowery continues his knack for pulling strong performances from his cast, with the most difficult turn reserved for Fegley who brings considerable emotion while working opposite a green screen for the majority of the film. The fantasy of Pete and Elliot's rollicking forest friendship is such that it's tough to take when greedy humans start interfering and pointing guns. In the screening I attended it elicited screams of anger from the children present, especially as some of the later encounters turn violent. Seen another way, it's just evidence of how quickly we come to love Elliot, the sneezy dragon, and his semi-feral human companion. 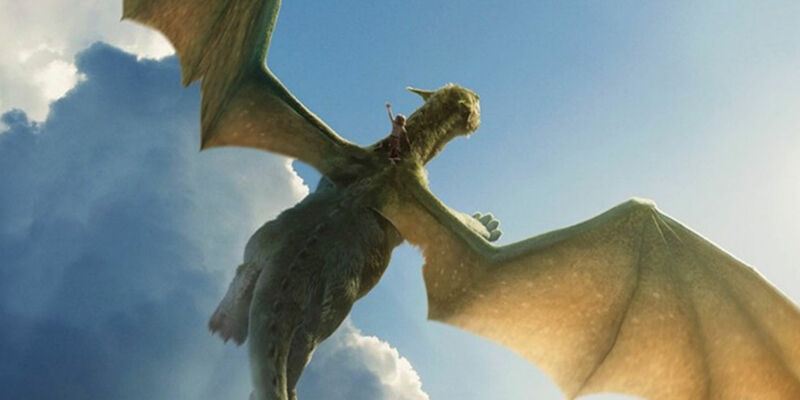 If the ending wraps up a little too neatly while obviously signaling the desire for a sequel, that's a fair trade-off for being reminded that big studio remakes like Pete's Dragon can still send our imaginations soaring.